Earth System Science (ESS) is the application of systems science to the Earth sciences. It attempts to study the whole Earth as a system of many interacting parts and focus on the changes within and between systems. In this framework, the Earth is a super-organism, consisting of both living organisms and a non-living environment that gave rise to it. Earth has the ability to self-regulate the climate and chemistry of interconnected systems across vast distances inconceivable to humankind. Life is maintained at an optimum homeostasis (planetary equilibrium) and the biosphere itself performs this maintenance. Earth System Science further considers interactions between the Earth’s “spheres”—atmosphere, hydrosphere, cryosphere, geosphere, pedosphere, biosphere, and, even, the magnetosphere from solar winds and high-energy particles. It also considers the impact of human societies on these components. This ‘system science’ acknowledges that changes to the Earth’s systems, atmosphere (air), hydrosphere (water and ice), biosphere (life) and the lithosphere can hinder or enhance the human dimension. For millennia, humans have speculated how the physical and living elements on Earth combine in a totality. The notion that the Earth, itself, is alive was a regular theme of Greek philosophy and religion. Early scientific interpretations of the Earth system began with the field of geology, initially in the Middle East and China, and largely focused on aspects such as the age of the Earth and the planetary processes involved in mountain and ocean formation. As the science of geology developed, understanding the interplay of different facets of the Earth system increased, leading to the inclusion of factors such as the Earth’s interior, planetary geology and living systems. In many respects, the foundational concepts of Earth system science can be seen in the holistic interpretations of nature discussed by the 19th century geographer Alexander von Humboldt. Then in the 20th century, Vladimir Vernadsky (1863–1945) saw the biosphere as a geological force generating a dynamic disequilibrium, which in turn supported the diversity of life. The oldest Earth system-like theories arise from the Vedas, the oldest known attempt to give context to existence, and an antecedent to many of the major world philosophies and religions. Vedic science may refer to a number of disciplines both ancient and modern, as well as scientific, metaphysical, and proto-scientific, found in or based on the Vedas. ESS related theories encompass an inherent reverence for life, a profound respect for the fecundity and importance of nature, and a recognition of connections beyond traditional attempts at definition. In the mid-1960s, James Lovelock first postulated a regulatory role for the biosphere in feedback mechanisms within the Earth system. Initially named the “Earth Feedback hypothesis.” Lovelock later renamed it the Gaia hypothesis, and during the 1970s further developed the theory with American evolutionary theorist Lynn Margulis. The Gaia hypothesis contends that living systems interact with physical components of the Earth system to form a self-regulating whole that maintains conditions that are favorable for life. However, it is important to note that ESS and Gaia hypothesis are not necessarily synonymous with each other though some posit them very closely. What’s Your Operating System (OS)? In parallel with ESS, the field of systems science was developing across numerous other scientific fields, driven in part by the increasing availability and power of computers, and leading to the development of climate models that began to allow the sophisticated interacting simulations of the Earth’s weather and climate. Subsequent extension of these models has led to the development of “Earth System Models” (ESMs) that include facets such as the cryosphere and the biosphere. Lovelock developed the Daisyworld computer model as an answer to the criticism that Gaia was teleological, (goal directed), life affirming and therefor full of logical fallacies according to those who assert to the contrary that the Universe is hostile to human life. Daisyworld is a computer simulation that analyzes a hypothetical world orbiting a Star whose radiant energy is slowly increasing or decreasing. It is meant to mimic important elements of the Earth-Sun system. Daisyworld is seeded with two varieties of daisy as its only life forms: black daisies and white daisies. White petaled daisies reflect light, while black petaled daisies absorb light. The simulation tracks the two daisy populations and the surface temperature of Daisyworld as the Sun’s rays grow more powerful. According to Lynn Margulis the Daisyworld model shows that daisies cool their world despite the warming Sun. This perturbation of Daisyworld’s receipt of solar radiation caused the balance of daisies to gradually shift from black to white, but the planetary temperature was always regulated back to this optimum (except at the extreme ends of solar evolution). This situation is very different from the corresponding abiotic world, where temperature is unregulated and rises linearly with solar output. 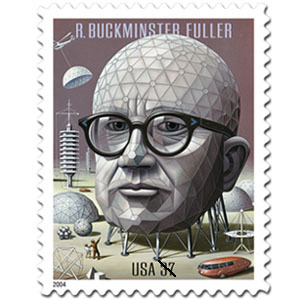 Buckminster Fuller, in addition to being a successful architect and inventor, was also known as an Earth systems science philosopher. He used the phrase “Spaceship Earth” to express the need for mankind to be sensitive to a nd aware of, sustainability toward Earth’s limited resources. Ephemeralization was another systems’ term coined by Fuller to express the concept of accomplishing more with fewer resources. Today we might call this a minimalist approach or living simply taking only what you need. Fuller’s third system philosophy is Synergetics which is an attempt to combine various scientific disciplines to describe the energy output of an overall system exceeding the output from individual parts of a system. Fuller’s theories are complex and provide an excellent paradigm for achieving sustainability through ecology and utilitarian philosophical approaches that encompass a deep and profound tradition of respect for nature and all life in the biosphere. There are many other theories that also embody similar views and are compatible with this approach. How is Climate Change Related to ESS? Climatology and climate change have been central to Earth System Science since its inception, as evidenced by the prominent place given to climate change in early NASA reports. Earth’s climate system is a prime example of an emergent property of the planetary system as a whole which cannot be fully understood without regarding it as a single integrated entity. Climate is also a property of the system in which human impacts have been growing rapidly in recent decades, lending immense importance to the development and advancement of Earth System Science research. As just one example of the centrality of climatology to the field, leading American climatologist Michael E. Mann established one of the earliest centers for Earth system science research, the Earth System Science Center at Pennsylvania State University. Its mission statement states that, “the Earth System Science Center (ESSC) maintains a mission to describe, model, and understand the Earth’s climate system.” Many such research centers are are attempting to use ESS to analyze climatic changes. Just some of these are listed below. Without a fundamental understanding of the interconnected nature and workings of the biosphere we call Earth and the larger Universe which encompasses it, we are in many ways forced to move blindly into the future. Because of our limited knowledge and understanding, we unwittingly collapse extremely complex, intertwined systems into linear models that do not adequately reflect the real-time problems they are meant to solve. Our current data modeling is in its infancy in this respect. We are still discovering the deeper complexity of many systems and their inner-workings needed to properly define and protect life on this planet. For example, many scientists have been attempting to model all the tipping points that may bring about a blue ocean event in the Arctic for years. However, again and again they discover aspects of the system we cannot or do not have a way to include in this modelling. As a result of this incomplete understanding, many of our life support systems on Spaceship Earth are now in grave danger. This problem of complex systems thinking and our inability to consistently reproduce it, has plagued humankind in the modern era despite our many scientific advances. We have sought a grand unified theory (GUT) unsuccessfully. We have tried and failed to stop war, famine, and disease. We seem unable to connect the dots of Indra’s Jeweled Net thinking ourselves entitled to destroy one portion of our habitat without even accounting for the affects on every other. All along we have assumed that we have the technology, knowledge and capacity to fix these resource extractions later. However, complex inter-related life systems are repeatedly showing us that they are profoundly more intricate and interconnected than we have yet grasped. Nowhere is our failure as a global species to see these interlocking pieces more stultifying than in the total annihilation that is incumbent with nuclear war. Last year the Bulletin of the Atomic Scientists moved the arms of its doomsday clock to 2.5 minutes to midnight—the closest it has been since 1953. This inspired what’s known as Noam Chomsky’s doomsday clock speech. Meanwhile, atmospheric carbon dioxide levels now hover above 410 parts per million. Why are these two facts related? Because they illustrate the two factors that could transport us beyond the Anthropocene—the geological epoch marked by humankind’s fingerprint on the planet—and into yet another new, even more hostile era of our own making. Andrew Glikson’s book titled The Plutocene: Blueprints for a post-Anthropocene Greenhouse Earth describes the future world we are on course to inhabit, now that it has become clear that we are still busy building nuclear weapons rather than working together to defend our planet. We should not split hairs, let alone atoms, if we can’t understand the entire system and know that we can restore it to its prior state. Lovelock himself postulated that radiation is as dangerous as oxygen arguing that our entire planet is radioactive. From a certain perspective this is true. On the other hand, modern researchers argue that the anthropogenic radiation sources produced in industry and war are disruptive to the self-regulating mechanisms of the biosphere, as the system simply cannot renew itself under such toxic conditions. In short, we have yet to answer the question, who speaks for Earth (video), posed so eloquently by Carl Sagan many decades ago. Humanity is learning from these egregious mistakes that systems don’t always work in one observable, predictable way as prescribed. They are arranged in vast arrays of synergistic spheres many of which are still opaque to human understanding. In fact, we don’t know why life arose on this planet in the first place. We don’t even have a consensus on what the term ‘living’ really means. We constantly make huge sweeping generalizations about the patterns we think we see on this planet, with an incomplete physics and very little understanding of our world. We attempt to observe the intricacies of life sustaining systems in our ecosphere in their full grandeur, but it seems they are always just one step beyond our grasp. Earth Systems Science seeks to understand and connect seemingly disparate events so that we can make make sense of our world. When we consider Black Swan events like storms, disasters, accidents and other unexpected events that commonly make the headlines, we tend to see them as separate global, socio-economic or catastrophic incidences. The Black Swan theory or theory of Black Swan events is a metaphor that describes an event that comes as a surprise, has a major effect, and is often inappropriately rationalized after the fact with the benefit of hindsight. A New York Times article recently referred to this as the science of the improbable. But such events increasingly reveal the interconnected workings of our life support systems on Earth. For example, environmental protection and social benefits are deeply intertwined issues. Studying Black Swan events from an ESS perspective provides a useful lens for the analysis of environmental and social sustainability impacts. According to Yale Climate Connections “the last 50 years, since the publication of Rachel Carson’s Silent Spring, have seen the rise of environmentalism and the subsequent evolution of corporate social responsibility. A quick scan of Black Swan sustainability events over this period reveals a series of news stories, beginning with Silent Spring, that have become household names — the crash of the Exxon Valdez, chemicals released at Union Carbide’s Bhopal plant, poor labor conditions in Nike’s supply chain, and Superstorm Sandy hitting the US Eastern seaboard, to name just a few.” These events have a multitude of interconnections that we just becoming aware of. 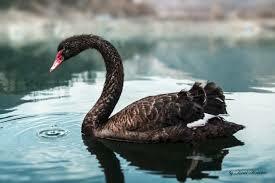 As a global society this is leading us to ask the all important question of whether or not it is a coincidence that the such driving forces of global impact carry the hallmarks of Black Swans, or whether there is an inherent link we aren’t seeing between Black Swans and the major sustainability challenges we are now witnessing on a vast scale never before thought possible? A coincidence seems unlikely. There are several strands of logic to suggest why today’s sustainability challenges take the form of Black Swan-type events in a nexus of interrelated complex issues that may mean climate change is actually a White Swan, an expected event, once we understand the connections between these seemingly surprising, unexpected events. The trick for us advanced primates is to begin to understand the unseen connections in events that seem unrelated, to be able to predict not just the White Swans but the Black Swans too. ESS is helping us do that. Scientists and philosophers alike ask redundantly if life arose by chance, a fluke so to speak, or by a self-organizing principle. The argument at the heart of the Gaia hypothesis is that life is fundamentally self-organizing in ways we cannot observe at the human level alone. According to the latest news, researchers think there is finally an explanation for the Gaia hypothesis. The mechanism is based on “sequential selection”. These researchers explain that the chances for life and environment spontaneously organizing into self-regulating states may be much higher than we might expect. If fact, given sufficient biodiversity, it may be extremely likely! But there is a limit to this stability. Push the system too far, one way or the other, hot or cold, and it may go beyond a tipping point and rapidly collapse to a new and potentially very different state. According to Buckminster Fuller, without an understanding of interlocking interwoven system dynamics, human hubris can all too easily run rampant as we fail to see the interconnections that comprise our very life support systems. In his inspiring work Utopia or Oblivion, Fuller expounds profoundly on this consistent and fundamental oversight of humanity. In modern materialistic worldviews all life is objectified and largely dissected into separate departments. Absent a gestalt vantage point, humans fail to see the bigger picture components of system workings and become unable to properly utilize, sustain or support a viable system dynamics — the state we find ourselves now in the Anthropocene epoch. The Anthropocene is not defined by the broadening impact of humans on “the environment”, “ecosystems” or “the landscape”, that is, as an extension of what humans have been doing for centuries or millennia. It is defined by human interference, over recent decades, in the functioning of the Earth System, that is, the planet as a whole understood as a unified, complex, evolving system far beyond the sum of its parts. At this time as a global species, we simply do not have a cohesive social or scientific understanding of our own nature or its inherent self-organizing principles. This has lead us to doubt their existence altogether and to fundamentally lose our way to the extent that our continued existence now threatens all life on Earth. Understanding and predicting the complexity of Earth’s natural changes and variations as well as its responses to human interference, management and alteration requires many disciplines of science working together – but this is still a work in progress a long way from the synergies presented by nature itself. Our simple replicas fall far short. Crutzen, P. J. (2002). Geology of mankind. Journal: Nature, 413: 23, 3. Ellis, E. (2013). Using the Planet. Journal: Global Change, No. 81. Fuller, Buckminster R (1969), Utopia or Oblivion (New York: Overlook), 293. 7:15 pm Mar. 25, 2019 – Shani Cairns – (Added several sections, enhanced content, flushed out several topics, added resources for learn more and related theories. Also, incorporated grammatical updates and edit requests from Patrick Hogan’s review and content suggestions). 3:15 pm Mar. 16 , 2019 – Shani Cairns – (Added Earth System page and introductory content write up and resources). Note: This page is in a very early draft stage and as with many wiki pages, it is a work in progress. It aims to introduce the topic of earth system concepts as related to climate disruption.